Dan and Julia leave us today. We begged for a last minute favor in the morning to keep them with us a little longer. 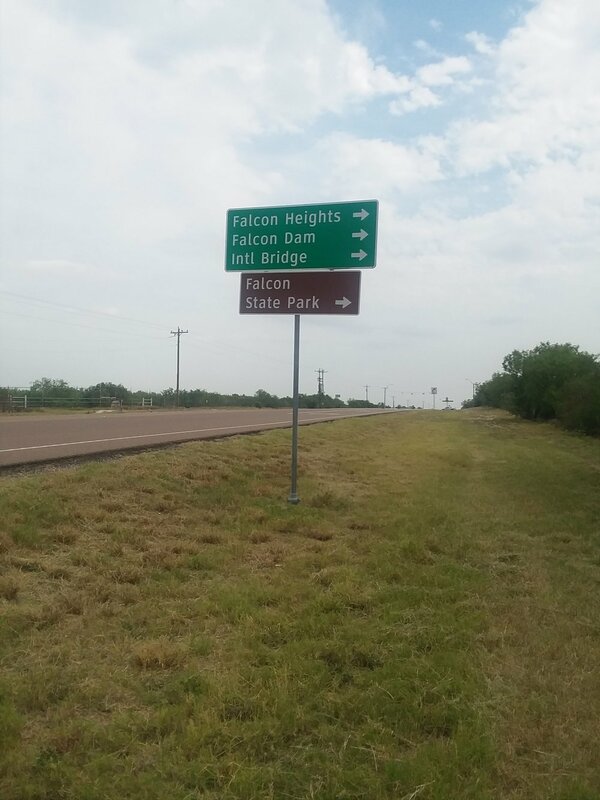 They drove us and our gear 20 miles down the road to th Falcon Heights Motel and RV Park. We would leave the bulk of our gear in the motel room and return with Dan and Julia to the finish mark from yesterday. A lot of extra driving for Dan and Julia but of course they handled it graciously. The motel was a real discovery. It was certainly no Holiday Inn but what it lacked in aesthetics it more than made up for in spirit. The rooms were little more than cement blocks but strategic flower pots and a giant, vine covered central veranda gave the complex reassuring personality. Four gangly, month-old puppies tripped over themselves to greet us. Well hello little guys and gal! We were immediately on our hands and knees scooping each up for a cuddle. We eventually located the hotel owner (or possibly her mother?) who cheerfully guided us through the check-in process despite speaking very little English. (Our Spanish is terrible. It is our deepest shame). 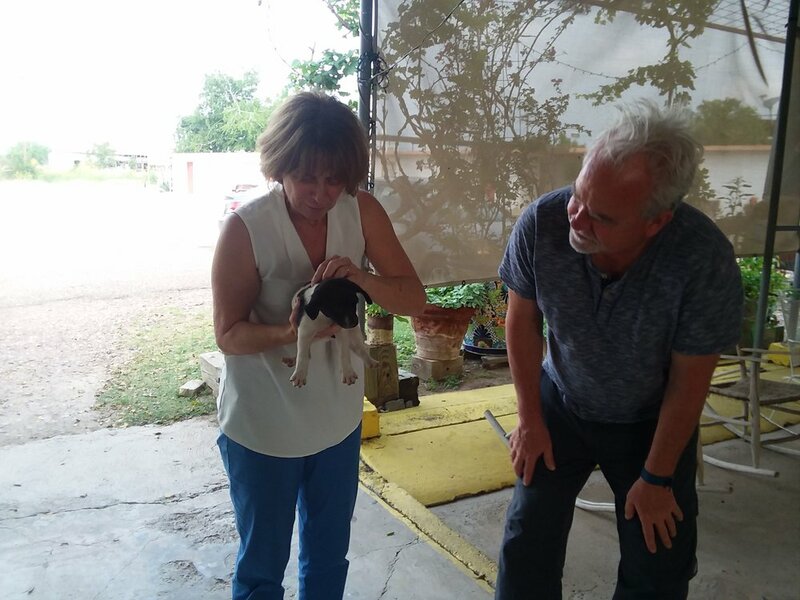 She introduced us to each of the puppies, only one of which had been claimed, and let us know that we were welcome to take one with us. Ahhhh! WHAT DO WE DO?! Dan and Julia drove us back to our random spot of highway and we reluctantly let them leave. It has been so great to have them. They somehow managed the impossible task of offering bottomless support while requiring very little maintenance in return. Thank you guys! 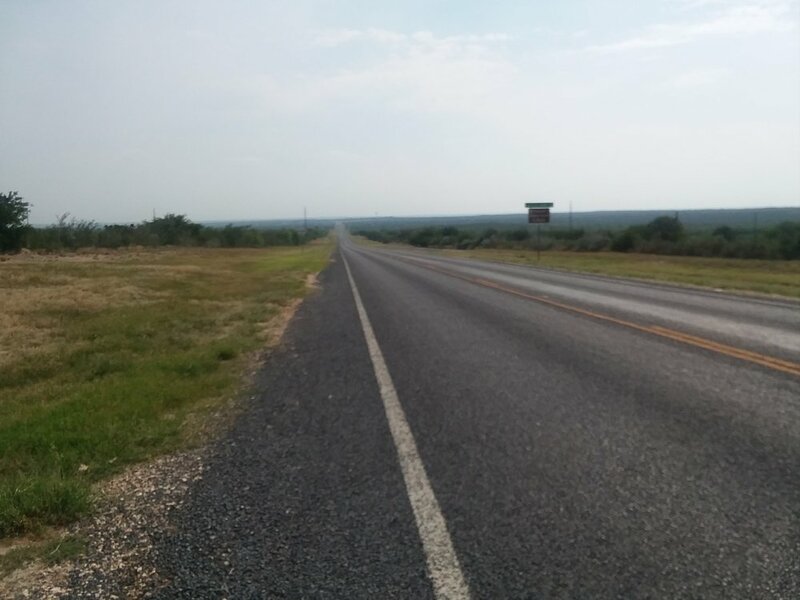 We’re in “the Valley” which includes the entire southern tip of Texas south of San Antonio. It’s a massive area known for its agricultural production, thanks in part to alluvial deposits from the Rio as it expands into a delta at the Gulf. The landscape was not strikingly fertile and green but we saw plenty of the examples of how the land was multipurpose. Every fence we walked by had a horse behind it. When we weren't looking at horses we were checking out the cattle. Oddly part of the agricultural infrastructure here were ten-foot tall fences built to prevent the reinfestation of the cattle fever tick. 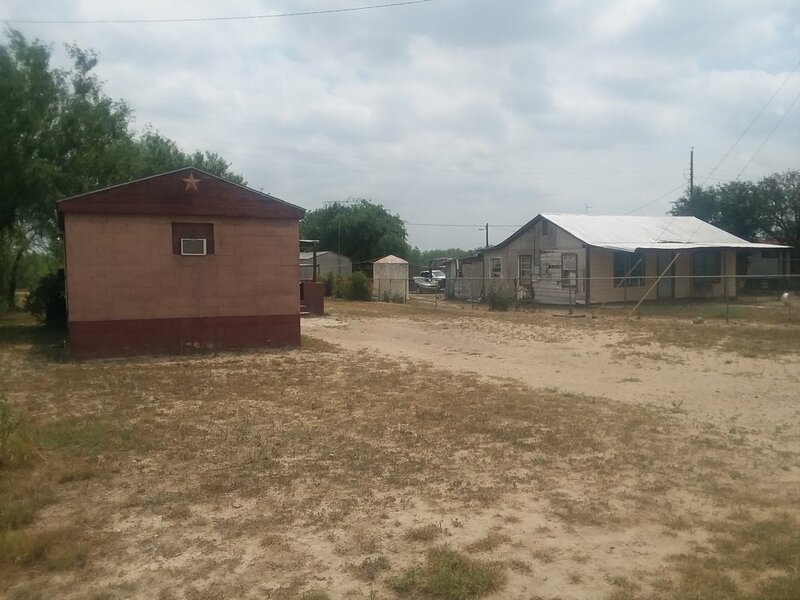 There were a number of small, windowless buildings lining the road with a entire town’s worth of vehicles parked outside. A nondescript sign usually stood out front, advertising the spot as a “Gameroom”. No idea what that is! 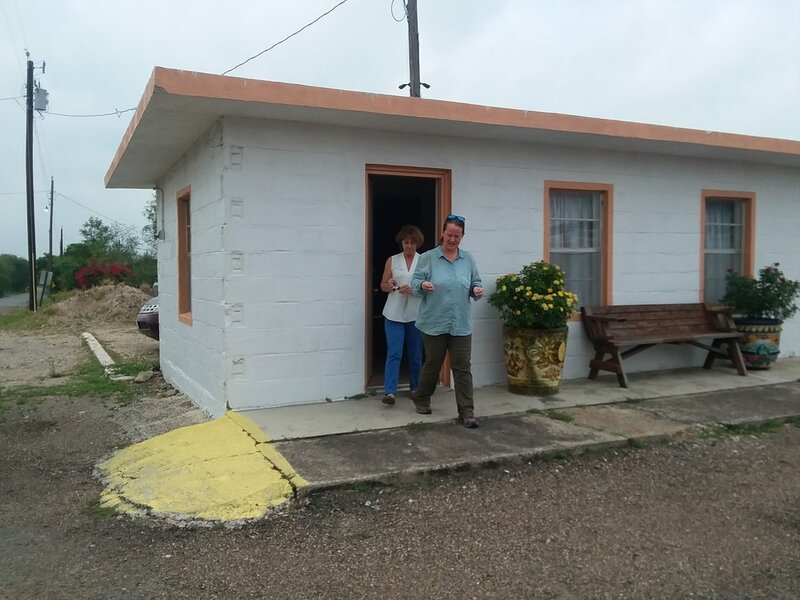 We suspected that they were as close to a casino as Texas state law would allow. You may remember that the Kickapoo Casino back near Eagle Pass is the only legal casino in Texas. However, as long as there aren’t “cash payouts” most gaming activities are legal. Apparently these game rooms are filled with slot machines, as well as bingo and other card games. Doesn't this seem like a semi-legal and kinda shady way to get around the law? Here's a link to more about gamerooms. Yesterday we played leapfrog with a white truck that kept stopping. Always a nerve wracking experience to see any vehicle twice, especially one that repeatedly slows to a crawl just ahead. They seemed official, with an emblem on their truck that wasn't quite discernible but recognizable enough to soothe our nerves. They were as suspicious of us as we them. We hadn’t spoken to them yesterday but today, seeing them again, we felt familiar enough to let our guard down and stop for a chat. We were all out here braving the highway heat and it made for a good sense of comradery. Turned out they were surveying the highway for possible expansion.